Today I took advantage of this oddly warm January day and went for a morning run with my favorite furry companion. While running, I couldn't help but be reminded of how much I love getting outdoors and going wherever it is my legs decide to take me. 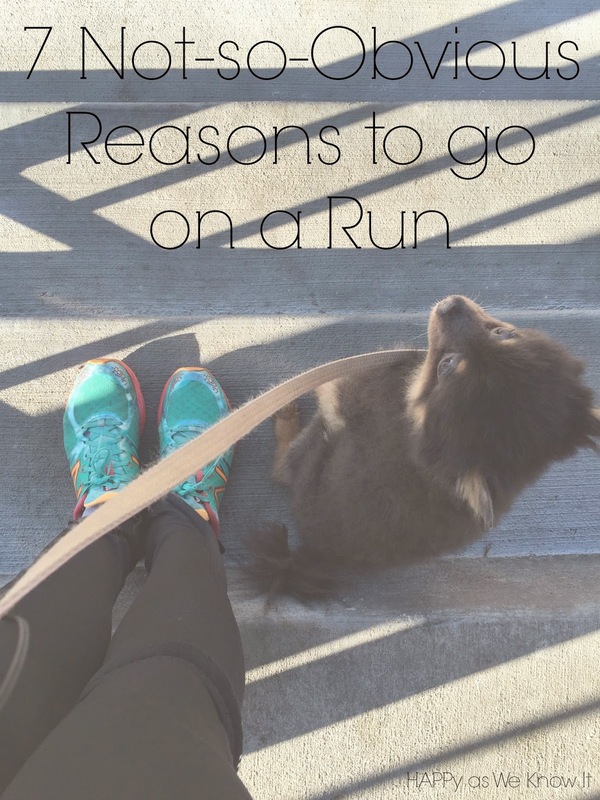 I began to think about all of the reasons I truly enjoy a good run and here is where my thoughts lead me. 1. It gives me a chance to explore different surroundings. You can really run just about anywhere. 2. It is great, uninterrupted think time. Some of my best ideas come to me while on a jog. 3. It is free. No gym costs or equipment needed. 4. It is wonderful stress relief. After a hard day's work, when the couch is calling my name, nothing energizes me like a quick jot around the neighborhood. 5. It provides for great bonding opportunities. I love running and catching up with my husband or girlfriends. 6. It makes me a better pet owner. I love seeing my dog's little eyes light up when I ask her if she wants to come along. 7. It encourages goal setting. Whether I am training for a race or simply working to up my mileage, there is always something I can strive to improve.